Searching for Vancouver’s best food carts? The Juice Truck is certainly one of them. It’s also one of the healthiest. While breaking from a Himalayan hike, two juice-loving childhood friends became captivated by a mysterious bright orange beverage being consumed by Nepalese locals. Seabuckthorn berry, the source of the vibrant shade, was the first of many unique ingredients they discovered in Asia. These findings motivated the pair to launch their eco-conscious business on wheels, The Juice Truck. Ryan Slater and Zach Berman have their priorities straight: local and organic produce fill their big pink truck. Some of their vitamin-rich smoothies are packed with as many as five fruits and vegetables. 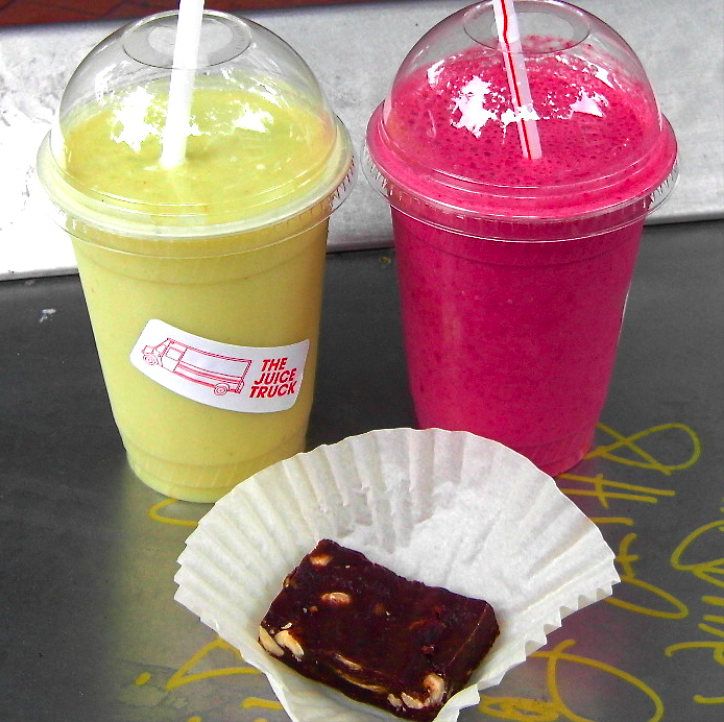 My drinkable meal consisted of The Avocado Pineapple and The Banana Beet (I just had to have both). The former is simply irresistible. Avocado in a smoothie? Instant winner. Blended with sweet, tart pineapple and coconut water, the finished product was luscious. A squeeze of lime added a nice kick. 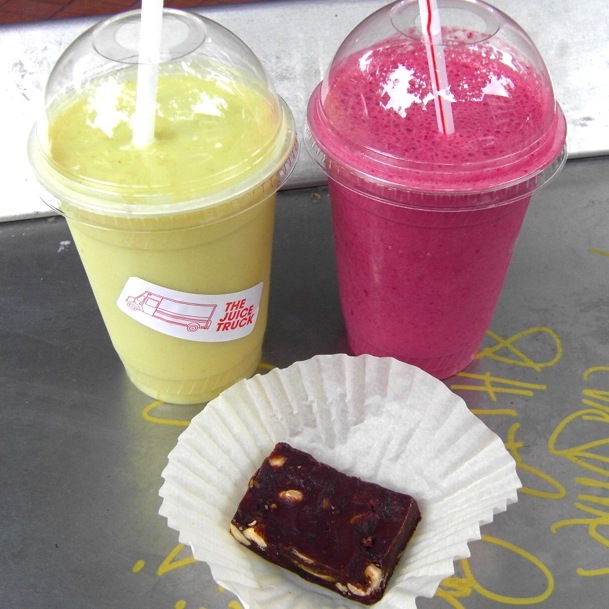 The creamy Banana Beet, filled with spinach, was like a nourishing intravenous drip. Its taste was subtly sweet and that of pure health. Come wintertime, The Juice Truck will serve soups and hot drinks, as well.